If you want to improve your health and boost your energy, you may wonder if multivitamins can help. The honest answer is "no". The vast majority of vitamin supplements available on the market today are full of cheap, synthetic ingredients that cannot be properly utilized by your body. Buying any of these supplements is a waste of your money. To find the handful of multivitamin products that are truly effective, you need to tune out the marketing noise and analyse the Supplement Facts listed on the back of the label. Only then you can see clearly which the top multivitamins for women really are. MultivitaminGuide.org can be a good first step in that direction. This guide offers comparison of 90 multivitamin brands specifically designed for women based on careful analysis of the Supplement Facts of each product. Each of the reviewed multivitamins is evaluated against 4 key parameters - composition, bioavailability, safety and potency. Then each supplement is assigned an effectiveness score ranging from 0 to 10 (10 being the best), which enables you to easily compare the various brands. For best results, using a multivitamin with a score of 8.0 or above is strongly advised. The table below provides a summary of the Effectiveness Scores of 90 multivitamins for women that are currently available on the market. Just as a woman’s body changes during her life span, so does her nutritional needs. If you are a 50-year-old woman who uses the same multivitamin as your husband or you take the same supplement you did when you were in your twenties, then you are at risk for a variety of different health problems. 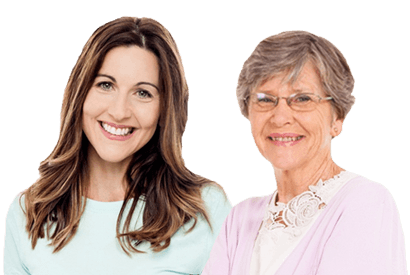 By taking time to learn about the essential vitamins and minerals for women, and how women’s nutritional needs change as she ages, you can ensure that you, or the women your love, maintain optimal health throughout their lives. The primary function of iron is to carry oxygen throughout your body. Additionally, your body needs iron to make red blood cells, for optimal immune functioning, and for temperature regulation. During a woman’s childbearing years, she needs 18 mg of iron daily, while after menopause, she needs only 8mg/day.1 The reason for the difference is that women who are menstruating lose a significant amount of iron-rich blood each month. Women whose diets are deficient in iron are at risk of anemia. Some of the symptoms of anemia include shortness of breath, even with only mild exertion, fatigue, and difficulty regulating body temperature. Some dark green leafy vegetables, such as spinach, and lean red meats are good sources of iron. Magnesium plays a part in more than 300 biochemical processes in your body. Because of that a woman’s health depends on ensuring she has enough of this nutrient on a daily basis. Adult women need 310 to 320 mg of magnesium daily in order to avoid heart arrhythmias, immune system problems, bone fragility, and blood pressure irregularities.2 Additionally, women who are deficient in magnesium are at risk for migraine headaches. This nutrient is one of the B vitamins women need to maintain a healthy nervous system as it supports the brain’s ability to regulate emotions. During pregnancy, folate is critical to prevent neural tube defects in the unborn child. While women who are not carrying a child require 400 mcg of folic acid per day, those who are pregnant need 600 mcg to 1 mg of this B vitamin daily. Women who do not have enough of this nutrient in their systems are at risk of anemia and certain types of cancers.4 Dietary sources of folate include beans and dark green leafy vegetables, such as kale. Vitamin C is especially important for women because of its role in facilitating iron absorption. It also helps make collagen, which provides the structure to our skin. This vitamin also helps in repairing tissues in our body as well as supporting immune health. Since our bodies are not able make vitamin C, we need to get it through our diet or by taking supplements. Women need at least 75 mg of this nutrient each day. As you would expect, a woman’s nutritional requirements change significantly when she is carrying a child and when she is breastfeeding. The following chart outlines the different vitamins and mineral needs that increase during pregnancy and lactation. While most of these nutrients are needed for the healthy growth and development of the fetus and young infant, women could harm themselves if their diets do not contain sufficient amounts of these vitamins and minerals. The reason is that their bodies divert these nutrients to the developing child, which means the woman runs the risk of a multitude of ailments due to deficiencies in these micronutrients. After menopause, women's needs change yet again. At this stage of their lives, they need more calcium and vitamin D to decrease their risk of bone loss. They also need less sodium and chloride in their diet to reduce their chances of developing high blood pressure and cardiovascular disease. Recently these have been a lot of concerns about the increased risk of cancer associated with hormonal and pharmaceutical treatments used for the relief of premenstrual syndrome (PMS) and menopausal symptoms. Because of that, women need to consider using herbal remedies that research has shown to be safe yet effective. Dong Quai extract (Angelica sinensis root) has been used for more than 1000 years to treat menopausal symptoms, such as hot flashes.11 It is also used to treat PMS symptoms such as cramping and headaches.12 Scientists attribute the effectiveness of Dong Quai extract to its ability to balance a woman’s estrogen levels. By paying attention to their nutritional needs through their lifespan and taking advantage of the different herbal remedies available, women can stay healthy and enjoy a heightened sense of well-being. Some of the high quality multivitamins we've come across, that are designed specifically for women, contain these herbal extracts, so be sure to look out for them when shopping for your next multivitamin. 2 Women's Health Magazine Supplement your diet. The complete guide to essential nutrients. 8 SFGate Do Teens Have Different Nutritional Needs Than Adults?